Rationalist Judaism: My, What Little Teeth You Have! 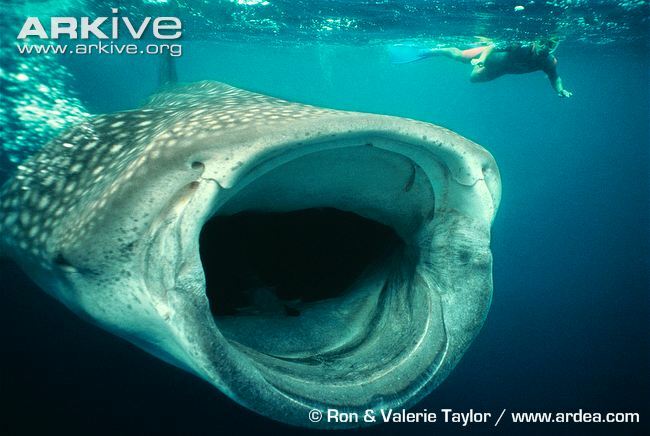 These are the jaws of the biggest fish in the world, the whale shark. Whale sharks can reach forty to fifty feet in length, with jaws five feet wide! This set, at only three-and-a-half feet wide, is from an immature specimen. What are the theological ramifications, if any, of this leviathan? Well, there are a few interesting things to consider. Two: Is it kosher? No. It doesn't have scales. Three: Is it the largest non-kosher fish? Not if we are using the biblical definition of fish. The largest non-kosher fish is the blue whale. The fourth theologically-relevant (according to some) aspect of the whale shark, which will not be discussed at the museum, is the significance of its teeth. 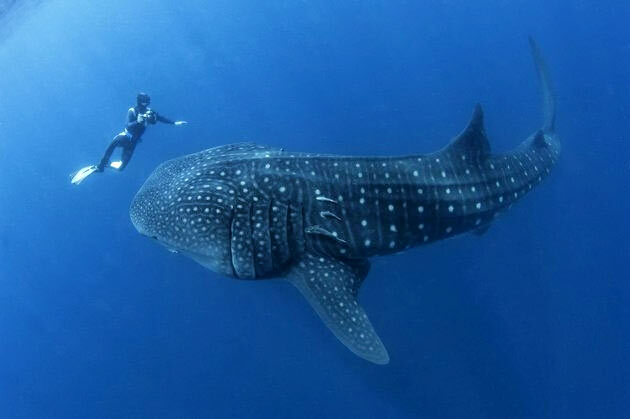 The jaws of the whale shark contain over three thousand teeth. But they are really, really tiny; not even big enough to snag my clothing when I sawed the jaws in half to fit them in my duffel bag. The teeth certainly don't play in role in the whale shark's life. It swims with its mouth wide open, vacuuming in tiny plankton. It doesn't need teeth and it doesn't use them. So why does it have them? Well, it makes sense if they are simply the vestigial remnants of the larger teeth that its ancestors possessed and which they used to eat fish and people at Amity Beach. Creating whale sharks and great white sharks and bamboo sharks and nurse sharks and lemon sharks and hammerhead sharks and goblin sharks and mako sharks is amazing. But creating one shark that becomes all these different sharks is even more amazing! Eat people at amity beach? E Must be a foreigner. I believe that's a reference to Jaws. I believe the Vilan Gaon says the same as the Rambam, comparing Yonah to other books of Tanach that feature a real (or legendary) figure in an allegorical story- Iyov and Shir HaShirim. Of course, if we accept that Tanach does this, we may well ask the same of, say, Noach or the second parts of Isaiah or Daniel. By the way, I'm pretty sure all fish have scales. It's just that there are kosher scales and non-kosher scales. Sharks have scales so small they feel like sandpaper, which is far too small to be kosher, but they're still there. Can you PLEASE open an Alternative Rational Biblical Museum for us Rational Folk??? R'Natan, why do you insist that survival in the belly of a huge fish or whale is not naturally possible. What if the fish/whale didn't open its mouth to feed after swallowing Jonah, nor did it produce gastric juices. In other words, swallowing Jonah produced a serious case of indigestion. Are the oxygen or CO2 levels in the stomach of a huge fish/whale not compatible with human life? Y. Aharon. What mushrooms are being given away at your Rebbe's tisch? Since when is there oxygen inside the stomach? And enough for three days???? Then how do you explain Pinocchio? Oh, I don't know, perhaps when the great fish/whale rose out of the water to swallow Jonah it also swallowed a belly-full of air - assuming that the stomach was not filled with water. I suppose that I could calculate the volume of oxygen used for 3 days by a resting small man and use that figure to estimate the volume of air needed to keep the oxygen at a tolerable level. I'll keep you informed. By the way, I'm a scientist who prefers to treat stories in Tanach as real. I don't believe that I've ever attended a Tisch. If anyone is curious, I just did a simple calculation of the oxygen consumption of a 70 kg (154lb) man for 3 days (60-72 hrs). The value cited is 18L/hr x (60-72 hrs) = 1100 - 1300L. Taking an average value of 1200L and converting to moles of O2 using the ideal gas law yields about 50 moles (depending on temperature). However, the oxygen concentration at the start and end of the 3 days in an air filled whale belly is (0.208-0.16) mols air/volume (L). The 0.16 (16%) O2 is considered the lowest O2 level that can sustain life over this period. The difference (mols O2 consumed/vol) is 0.048 mols air/vol(L) which is equal to 0.0020 mols O2/L using the ideal gas law. Taking the mols O2 consumed as 50, gives a value for the volume of 2500L for the whales belly. That value seems not unreasonable for a large whale. However, the amount of CO2 produced by the person is estimated as 14.4 L/hr or 860 - 1040L for the 3 day period. Taking an average of 950L and dividing by the above volume (2500L gives a CO2 concentration of38%. That is much too high to sustain life. Rationalization of the Jonah story would then appear to require the whale to do several things to allow for Jonah's survival. First she (females are larger) would open her mouth wide to swallow Jonah. Then she would expel the swallowed water and not feed for the 3 days (possibly a bellyache). She would also need to open her mouth repeatedly with her head above water to allow fresh air to enter. None of this is 'natural', but then neither is a whale appearing at the nick of time and later spitting Jonah out on a convenient shore as per instruction. By the way Baleen whales appear to fit the bill. They are large, filter feeders who open their mouths wide to intake much water with small organisms, and then spit the water out through comb-like filters (baleen plates). Some species are found in all oceans and seas except for the polar regions. I had hoped that R' Natan who knows a lot more about zoology would chime in. Perhaps he will now. Is there any particular connection with your being a scientist and your desire to treat stories in Tanach as real? Especially when some of them obviously aren't real? Perhaps you mean you are a 21st Century Orthodox Jew who therefore prefers to treat stories in Tanach as real, despite what your erudite Rabbinic predecessors said about such obviously false stories? I would imagine that your scientific training might have helped you spot the difference between something that could and something that could not have actually happened. What a funny scientist you are. Isn't it strange how you persist in taking literally a story that is obviously not intended to be taken seriously? When you watch movies with dream sequences in them do you make the same category mistake? What other mistakes in Torah interpretation are people like you making? I mean if you can't even spot the difference between something meant to be taken literally and something that's not. . .
Hey fozzie, I'll bet that I know a lot more Tanach and other traditional Jewish studies than you do. I'm also a lot less cynical and insulting. My rationalism as well as scientific training comes into play in evaluating the possibilities for taking certain biblical narratives literally. When it doesn't appear possible such as a literal reading of the creation narrative, the flood story and other events in Gen. 1-11, then I formulate my own non-literal reading that is consistent with established facts. I do, however, have a bias in favor of taking whatever I can of Tanach literally. I started my comment with asking R' Natan for his zoological expertise to justify why he believes that the whale story is not a possible physical phenomenon. He hasn't yet responded. My calculation merely addresses the parameters of how Jonah's whale residence could have occurred. Your snide remarks fail to impress me. The book of Jonah was placed among the books of the Prophets rather than among the Ketuvim. If it were one of the latter like Job, then I would not take the story literally. As a prophetic work, according to ancient tradition, it has a claim to credibility for Observant Jews. If we doubt the truth of the Jonah story, that puts other prophetic works into question as well. You probably do know more Torah Talmud and tanakh than me. But I wonder sometimes about how critically learned people approach the quantity of their knowledge. IIRC, the Efodi attributes this position to the Rambam based on an interpretation, but the Rambam himself doesn't say it directly. It was the the Efodi that was censored in this case, not Rambam. Isn't the point of evolution to explain nature without the need to come on to G-d? Yes and no. If you are jewish then God is outside of nature not a part of it. "The largest non-kosher fish is the blue whale." Yes, I am aware of that! Please read the post again! I don't have Shapiro's book on hand, but if I recall correctly, he does not say that the Rambam writes that it is an allegory, rather that one of the commentaries to the Moreh Nevuchim states this. This website from Kerem b'Yavne Yeshiva (www.kbymedia.org/uploads/text/moadim/yamim_noraim/yona002.doc) has a discussion of Sefer Yonah, citing Ibn Caspi, who entertains the possibility that the part of being swallowed by a fish was a dream sequence (since the Rambam says that all prophets besides Moshe Rabbenu received their prophecy in a dream state--Moreh Nevuchim II, 42 provides examples of events that seem to have really happened, like Avraham seeing three angels, but which the Rambam interprets the event as a vision). "For some strange reason, many people find that religiously threatening." Only people of small faith could find the glory of whale shark dentition religiously threatening. In the foregoing I'm *not* trying to be smarrt-alecky. I'm as sincere as I can be. 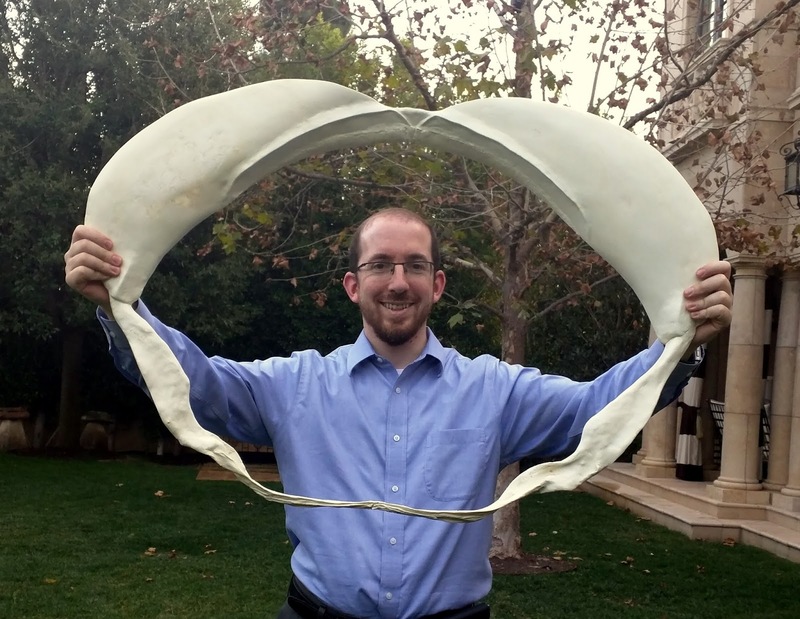 Whale shark dentition, like all of God's handiwork (so to speak), which Rav Slifkin so painstakingly documnents, is marvelous to behold & a tribute to Him. No one finds the wonders of the teeth religiously threatening. It's the concept that God didn't create them that way 5776 years ago that they find religiously threatening. And it's not "for some strange reason". In a religion that values tradition, changing the meaning of the Torah from how it had been understood for thousands of years can understandably make one uncomfortable. מכדי. Jonah left the port of Jaffa and headed for Tarshish. Most likely that is Carthage, but at all events, the storm and subsequent swallowing happened in the Mediterranean. (Taking the story literally for purposes of this discussion.) Are there whales of large enough size to swallow a man in that part of the world? And then he took an uber cab to fallujah (in ninveh province, three days drive) in modern day iraq. Meanwhile, the sailors who were headed to tarsis / carthage converted and were learning torah in bnei braq (under which of the two litvish leaders? Or did they become chassidim? There are whales and sharks in the Mediterranean. Not the largest, but they're there. Clearly the authors of Tanach knew of them. But large enough to swallow a man, and for that man to live inside of it three days, Gepetto style? Um, maybe, if such things were possible. Pinocchio is *fiction*, remember. Geppetto was supposedly swallowed by an incredibly large dogfish, which is a type of shark. Not sure if they're actually found in the Mediterranean, which is of course also where Geppetto was from. While the teeth could very well be vestigial, it is also true that they could have a function in the development of the fetus. It's an avenue of investigation, at least, since sometimes organs which were thought to be vestigial were later found to have a function for the fetus. 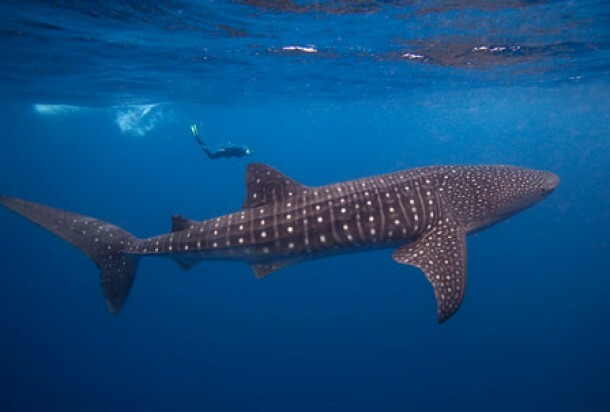 In other words, saying "The teeth *certainly* don't play in role in the whale shark's life" will discourage people from doing research on their potential function. Such an attitude is a "science stopper." "or one can adopt the approach of Rambam and others that the story of the Jonah is not historical." I am not sure that Rambam would agree with that assessment of his view. See Guide II:29,48, where he rather clearly speaks of the events of Jonah as historical. See Efodi, as discussed by Marc Shapiro in Changing the Immutable. I'd also like to address the 'talking respectfully' issue that you raised. I thought a bit about whether or not to write this, but perhaps it needs saying. I'm really not sure anymore that poorly-educated, or even averagely-well educated Jews need to be respectful towards well-educated Jews who insist on saying stupid things, or who present Judaism as being inherently stupid. Those who still insist that the universe is only 6,000 years old (or whatever) are stupid. They insult the intelligence of every Jew who still clings to the belief that Torah has something valid and relevant to say to us all today. They do untold damage to the perception of Judaism outside of the walls of frum neighborhoods. So, why oh why do regular intelligent Jews continue to be respectful towards those who have toiled away for many years learning Talmud in an utterly uncritical manner? I think it's because we still have an inherent respect for Limmud Torah. But if all that Limmud Torah doesn't start producing some better results that than inherent respect will disappear - if it hasn't already. Don't ask me again, please, to be respectful of stupidity. I am not sure why you are not correcting your post, where you wrote that the Rambam says the Yona story was a dream. It has already been pointed out by several of your readers that the Rambam says no such thing. I never claimed that Rambam "says" this, just that it was his approach. After looking into it, I agree that this needs correcting - it was the view of some, but not all, that this was his approach.